An asylum seeker who became pregnant following a relationship with a security guard at a direct provision centre has settled her and her son's High Court action over a refusal by An-tArd Chláraitheoir (the Registrar General) to register the boy with his father's surname on the child's birth certificate. When the African woman, who has been in Ireland since 2014 after fleeing her native country in 2010, attempted to register the boy at the Registry of Births, Deaths and Marriages she was told that unless the father attended in person and consented to the registration of the boy, he would have to use a different surname. 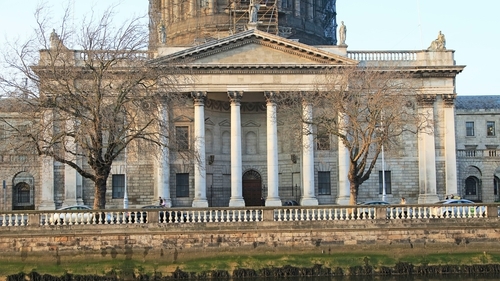 Arising out of the refusal the woman and her son, represented by Feichin McDonagh SC, Brendan Hennessy Bl instructed by solicitor Eileen McCabe, secured permission from the High Court earlier this year to bring proceedings against The Registrar General. They sought an order compelling the Registrar General, the person who has responsibility for the registration of deaths, births and marriage in the State, to register the boy's surname in accordance with the 2004 Civil Registration Act. The woman, who cannot be identified for legal reasons, claimed the refusal was fundamentally flawed, that the Registrar General had acted outside of their powers, and breached fair procedures. It was also claimed the refusal was irrational, lacked proportionality and that irrelevant considerations, including the father's refusal to consent, were taken into account. The boy, it was further claimed, had a right to have his surname recorded where there was admissible evidence about the father's identity. When the matter returned before the High Court Mr Justice Michael McGrath was told the case had been resolved and could be struck out. The father's surname has been registered on the child's birth certificate. The court previously heard the woman had been in a relationship with her son's father, who worked as a security guard at the Direct Provision Centre where she resides. The relationship ended before the boy was born, and she has a maintenance order against the father. One of the reasons she wanted to register her son with the father's name was because she did not want the child to have the surname of her ex-husband and would not reflect the boy's true origins. After her son's birth, she made several unsuccessful attempts in 2016 and 2017 to register the boy using his father's surname. She then obtained the assistance of the Citizen's Information Services, which dealt with the Registrar General on her behalf. She claimed she was informed she could not give the boy his father's surname without the father attending at the office. The CIS in July 2017 asked the Registrar General for details and the legislation which requires a father to attend the registry office, as it was unable to find it. A representative of the Registrar General informed the CIS it was unable to cite the relevant legislation, and added there was no discretion to give the boy his father's surname, she claimed. In August 2017 the CIS asked the Registrar General to exercise its discretion to give the boy his father's surname because of the exceptional circumstances that applied in the case, she claimed. In a reply, which resulted in the bringing of the High Court action, the Registrar General said there is no provision in the Civil Registration Act to allow the mother register her son's birth using any other surname than her own one.